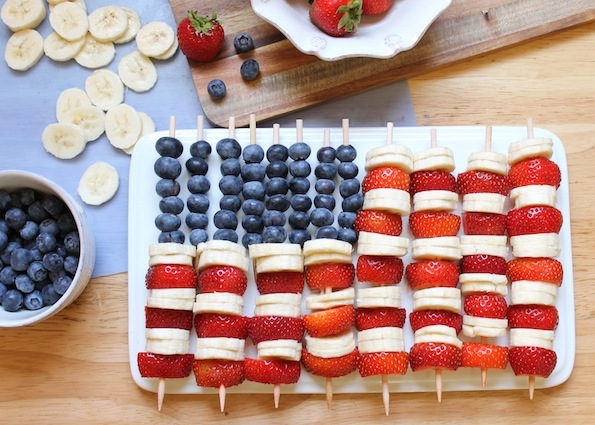 For a healthy dessert this July 4th, try these American flag fruit skewers! 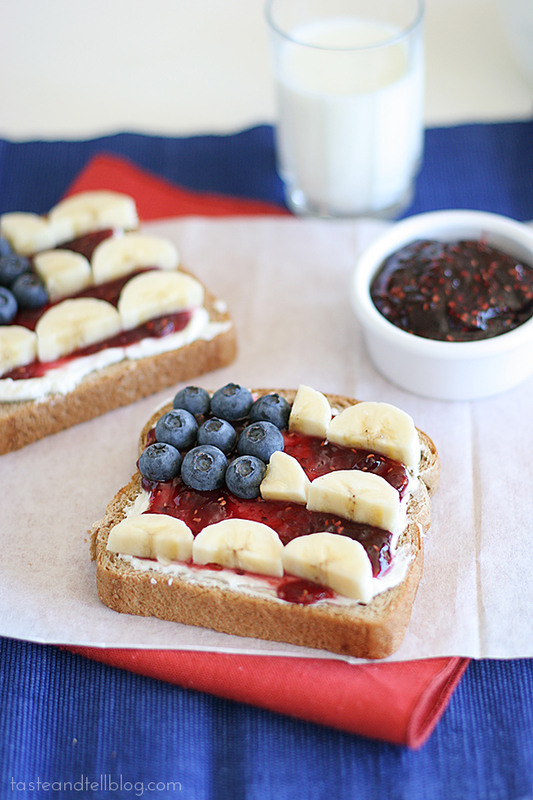 These are the perfect addition to your BBQ or picnic, and are easy to make! Fresh fruit is perfect for hot summer days. It’s light, thirst-quenching, and is great for a healthy snack. These fruit skewers are great for balancing out all those salty snacks, and they make a wonderful healthy dessert. 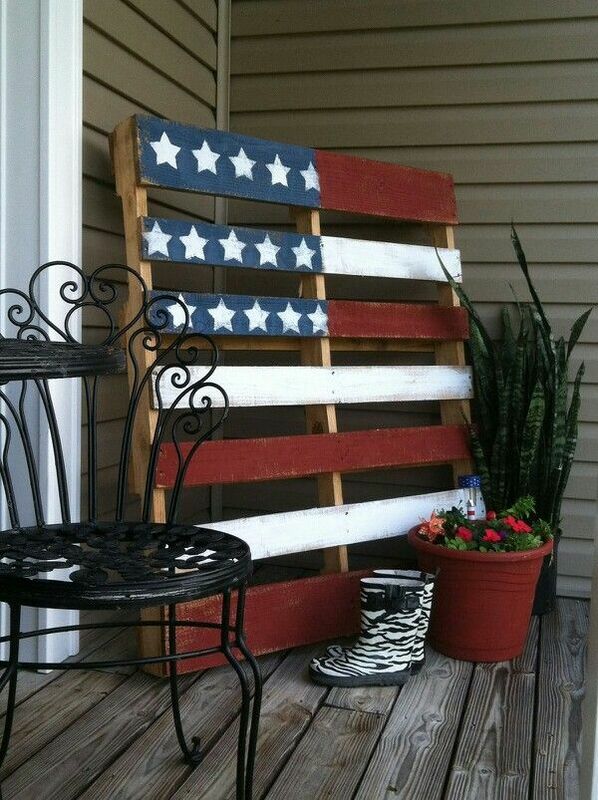 Make them for your July 4th BBQ, picnic, or get-together! 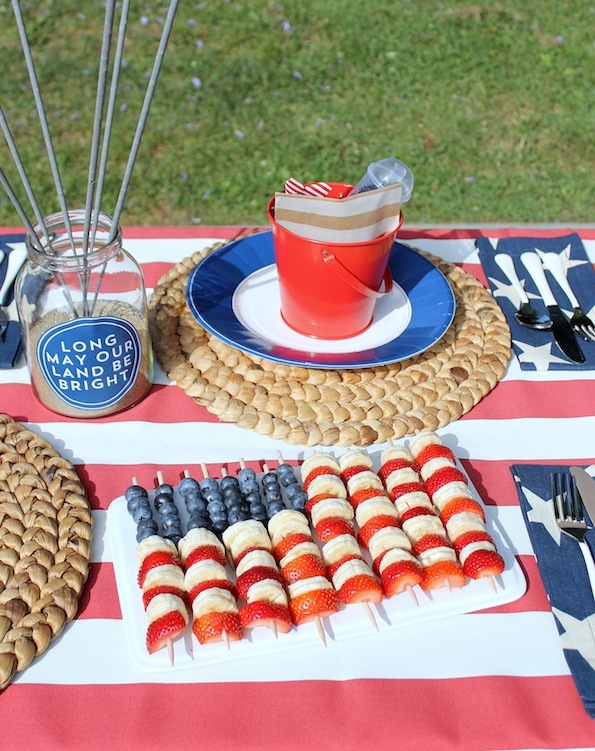 Read the recipe below to find out how to put together these tasty patriotic skewers. Directions: Rinse the berries and dry them. Take the strawberries and chop off the stems. Cut them in half from the stem to the point. Then, cut off the point and set it aside. Cut the bananas into slices and set them aside. Start with the blueberries and skewer 6 on top and alternate between 2 banana slices and 1 strawberry slice. Do this until you reach the end. Place the skewers on a platter and keep them in the fridge until you’re ready to serve.